Grow with Crop Excellence in 2018! 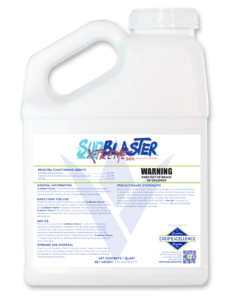 At Carolina Eastern Crop Excellence®, we believe that adjuvants and nutritionals are value added and can be the simple solution to many on the farm problems. Our goal is for your farm to thrive, to help you mediate risk, make spray applications easier, more effective and see an attractive rate of return on your investment. 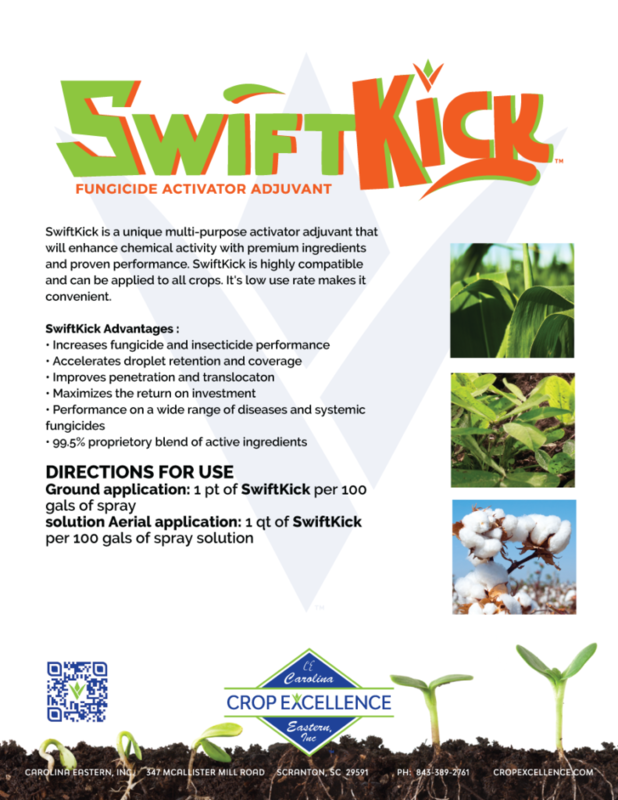 ASwiftKick is a unique multi-purpose activator adjuvant that will enhance chemical activity with premium ingredients and proven performance. 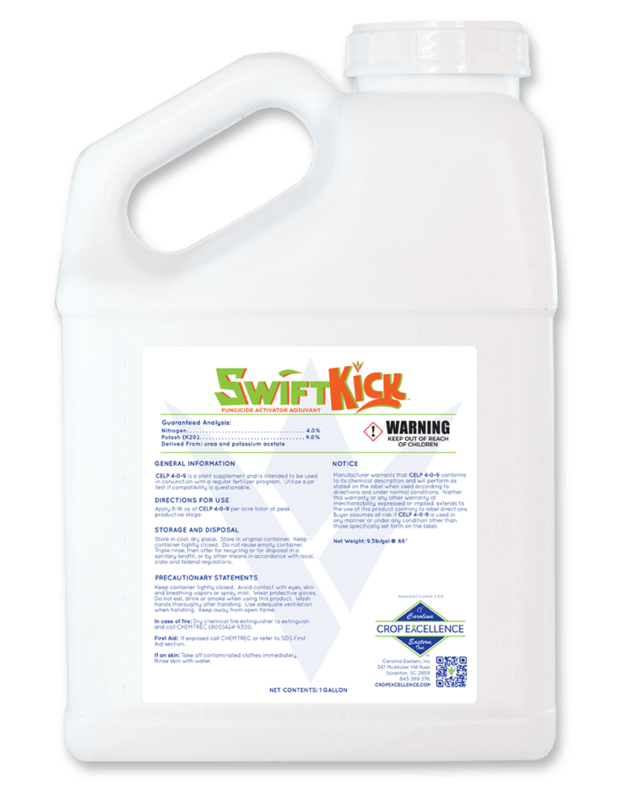 SwiftKick is highly compatible and can be applied to all crops. It’s low use rate makes it convenient. Crop Excellence® Liquid Mix | Specifically Formulated for use in High Phosphate Materials Commonly Applied in a row as a “Starter” fertilizer.